A cozier spot is tough to find, as Andaz Amsterdam Prinsengracht and Bluespoon transform into a Christmas fairy tale during the festive season. Or, how we like to put it, our very own Winter Wonderland. Christmas is a time where magic really does happen, and what better way to celebrate than letting our team create that magic for you. From beautiful plates flying out of the Bluespoon kitchen, to whimsical and mysterious cocktails being created at the bar, your Christmas dreams are bound to come true. As you tumble down the rabbit hole into the hands of our resident Mad Hatters, you’ll feel Alice in Amsterdam take over. From the 24th to the 26th of December, delight in Chef Sander & his team’s festive menu at Bluespoon. 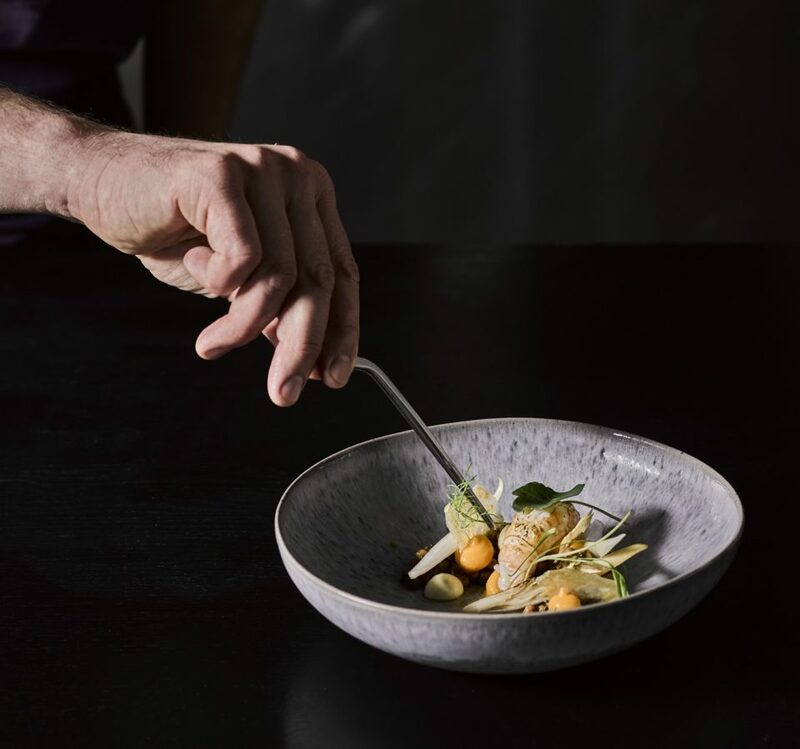 Choose a 3/4/5 course menu and pair dishes including Sander’s signature langoustine, or tender venison, with wines carefully selected by Bluespoon’s Sommelier Bianca Pottenza. Pastry Chef Juan is ready to wow with his beautiful tarte tatin with salted caramel, pecans, clotted cream and tonka beans. Can you taste Christmas from behind your screens as much as we can? A multi-sensory experience is awaiting your presence, and we’re ready to woo you with our festive charm. New Year’s Eve calls for a 5 course dinner at Bluespoon Restaurant, followed by cocktails, live music & a champagne countdown at midnight at Bluespoon Bar. With a view over Amsterdam’s canals and a seat in design icon Marcel Wanders’ spaces, ring in the New Year in style. For more private events, entertain your guests with sit down or walking dinner menus, bespoke cocktails & plenty of festive extras in our enchanting event spaces. For more information, email bluespoon@andaz.com or call +31(0)205231250.